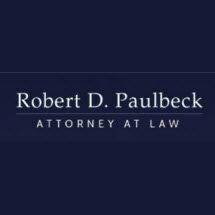 Welcome to the law offices of Robert D. Paulbeck. Conveniently located in downtown Trenton, we offer experienced professionalism to serve our clients throughout the metro Detroit area. Please take this opportunity to learn more about the quality services offered. We utilize the latest technology in our practice to give you trustworthy satisfaction. Our mission is to provide you with ethical, legal services that meet the latest standards of developing law. Call now for representation in your legal matters. My goal is not only to aggressively try to win my clients' cases but I also try to give my clients a fresh start in their lives. I want my clients to not only successfully achieve their legal goals but I also want my clients to be successful in life. In order to achieve both goals I try to empathize with my client's position but I also try to provide frank advice about the client's current position. Because I am a small firm, I am very selective in taking on new cases. I want to give each client professional yet personal attention.